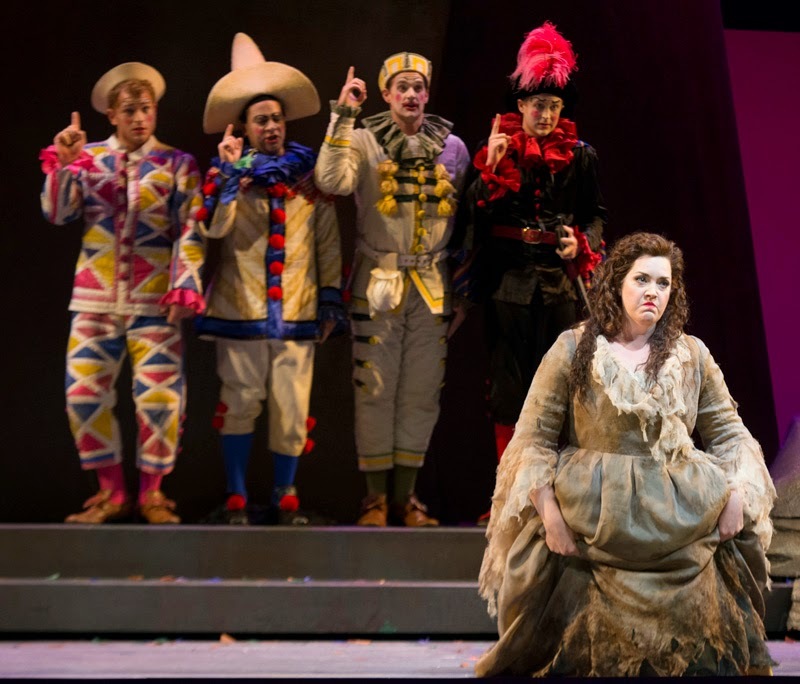 When Marcy Stonikas first auditioned for Seattle Opera, many years ago, the decision was made to schedule Ariadne auf Naxos for the Young Artists Program, since we’d found an amazing young Ariadne! 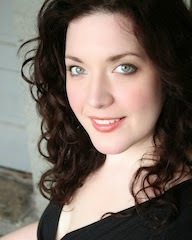 Stonikas sang many roles all over the state of Washington, over the course of two years in the Young Artists Program, and in the years following has emerged on the mainstage as an exceptional artist—a powerhouse soprano who’s able to bring reality and flair to such wonderful characters as Turandot, Fidelio, and (last season) Magda Sorel. After a thrilling performance in last summer’s International Wagner Competition, Stonikas returns now to the role that got her started at Seattle Opera—Strauss’s wonderful Ariadne. 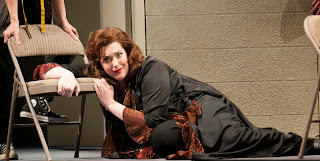 Marcy, you saved Seattle Opera in January, when another singer got sick, by going on at the last minute as a replacement emergency Tosca! What was that like? You know, I can’t really remember—I was so 100% going on adrenaline, just trying to get through the role and make sure I was in the right place at the right time, singing the right words. I know I was thinking about making it to Tosca’s final jump—as soon as I jump, I told myself, my brain might come back online. 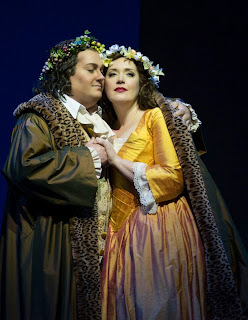 And you hadn’t sung Tosca in a while. Did you find the role was there in muscle memory, ready to go? Yes, that’s the only way it could have worked. She’s in there, somewhere. It was bizarre...you know, there hadn’t been an opportunity for me to rehearse with Greer [Grimsley, the Scarpia]. Finally, during the first act intermission, we rehearsed the scene where I kill him. He’s an amazing colleague; he was just like, “Wherever you are, I’ll come find you...don’t worry about me.” At one point we were very close and he was singing to me, and I remember turning my head so that I would be able to hear the next day. I thought I was going to go deaf. 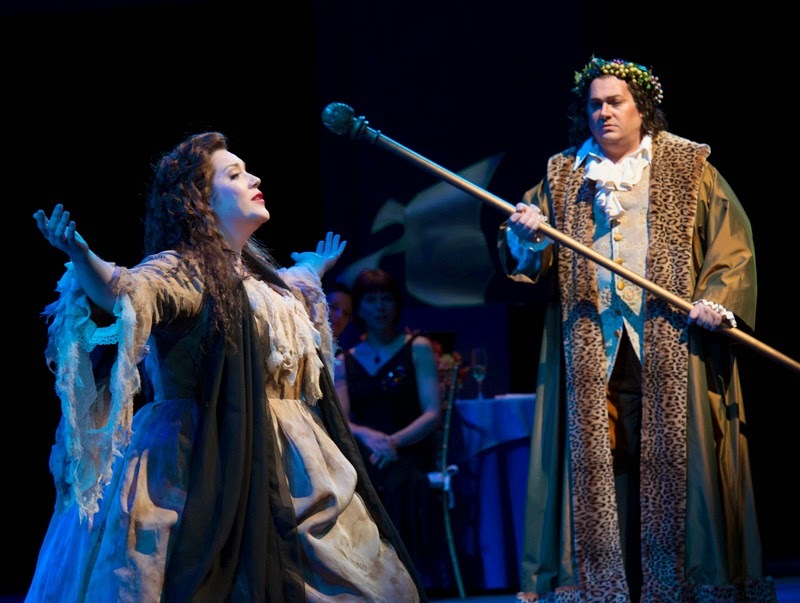 You sang Ariadne with the Young Artists Program five years ago. How is she different now? It feels even better, if that’s possible, because it felt good then. But everything is slightly easier to sing. Plus, five years ago I was not as seasoned a performer. So the Prologue is a lot more fun for me now; last time it was a little hairy. Five years ago, I wasn’t as comfortable playing around, which you have to do in the Prologue. Now I’m less worried that I’m going to look stupid. Plus, my German is much better now; I’ve sung much more German and spent some time in Austria, so I have a better handle on the language. That’s interesting, because Ariadne has a very rich libretto. Yes, it’s poetic, full of imagery, very philosophical. I’ve been put in a position to rethink some of the poetry, because our director this time, Chris Alexander, has a different interpretation from that of Peter Kazaras, who staged it in 2010. The first part of the story is reasonably straightforward—you’re alone on this desert island, dumped and abandoned by your faithless lover, and you’re very sad. But can you explain the story, from Ariadne’s point of view, starting with the arrival of Bacchus? Right, so Bacchus shows up, and Ariadne thinks that he is the messenger of death, Hermes. The Grim Reaper. She’s been waiting for him, and she sees death as her salvation—she wants to get off this horrible island. And she is ecstatic that he’s finally come. Now, when she first looks at him, she thinks—“Oh, wait, you’re Theseus, not Hermes.” And Theseus is her ex, of course. Not who she wanted to see. Why does she make that mistake? I think it’s just that she hasn’t seen a man for so long. She corrects herself right away: “No, no, it’s not Theseus, it’s really Hermes.” So then she bows to him and tells him to take her away; and it’s funny, it’s dramatic, they’re attracted to each other, there’s all this beautiful music, but really what happens is they’re just having miscommunication after miscommunication. We’re drawn to one another; there’s great chemistry. Love at first sight. But completely misunderstanding each other. Bacchus thinks she’s like Circe, that she’s gonna turn him into a pig. Ariadne thinks he’s the Grim Reaper, about to take her away from this world! And eventually she figures out: Maybe this guy isn’t actually Death, but some other god. So in the end, she says: “Okay! I guess we’re doing this, then!” And she just goes with it. Anything to get off the island! How do you find the sweet spot with Ariadne, in terms of serious and comedy? The way we did it before, Ariadne never broke character; she wouldn’t deign to interact with the comics. In this production I’m more of the Prima Donna, annoyed at the comics who keep interrupting my scenes. That’s probably a lot funnier. I certainly have more fun with it! It’s nice not to have to stay so stoic. Is there humor in the scene with Bacchus? I think it’s really kind of charming. They’re cute, they’re shy, like a couple of blushing teenagers. 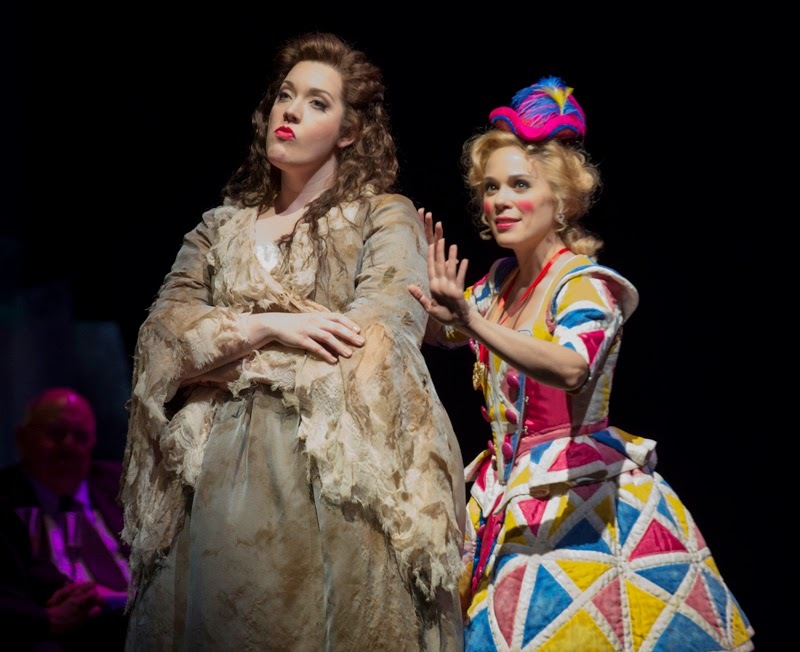 Changing the subject a bit, what’s the biggest public misconception about opera singers? When people find out I’m an opera singer, they usually say: “Oh, wow! That is so cool!” They assume I have a lot more money than I have...and suddenly they think I’m...I guess the word is ‘classier.’ More lady-like. (laughs) As my husband likes to say, “She had two choices for career; she was either going to be a long-haul trucker or an opera singer!” Most opera singers are very regular people. 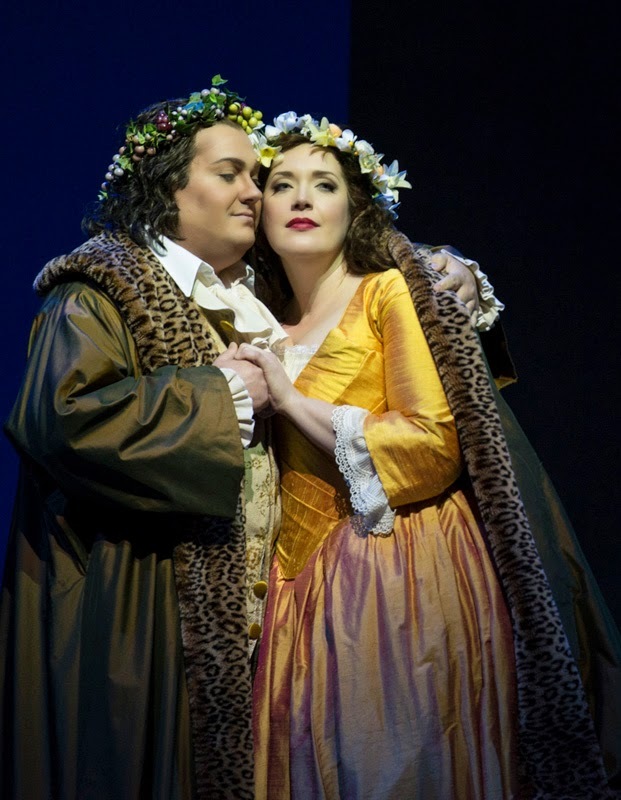 What’s the best way for someone who’s new to opera to learn more about it? Just go. People worry that it’s going to be unapproachable, or boring or they won’t understand it. But if it’s a good production, you understand it, and you’ll really surprised by how moving it is. You don’t have to be a brain surgeon to get it; you don’t have to do loads of research. You can, if you want to. But it’s not a prerequisite.